Alana: Play with your food, Mason, and you give it the opportunity to bite back. Mason: Oh I'm not playing, Dr Bloom. Alana: Hannibal is. He's always playing. Hannibal Season 3 Episode 7: "Digestivo"
Hannibal: Your people might have assassinated me in Florence, Mason. Mason: Where's the fun in that? Permalink: Where's the fun in that? They are identically different, Hannibal and Will. 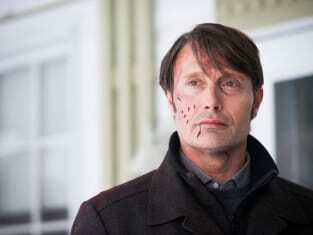 Permalink: They are identically different, Hannibal and Will.